A parcel of Lux White Impress Body Wash and Whitening Shower Serum arrived at the beginning of the week and it made my days. First of all I thought the packaging, graced with gold and glossed with white sateen, was cleverly decorated and polished. Sophistication! Opening the package was exciting, but not nearly as rewarding as the feeling these body wash and shower serum gives after every shower. The instructions to follow were rather simple. Apply the body wash as normal soaping exercise (tenderness alert! ), rinse off, then apply the whitening shower serum. Gotta say the body wash does an excellent job exfoliating my relatively dry skin. They employ micro crystals and mulberry extract to do the work. The texture of the body wash somehow also makes only little amount is required to cleanse the whole body in one shower. I also like to let the serum on for a couple of minutes before rinsing it off. I actually felt the effect after my first shower: the moisture, the scent, and as the name itself pledges, the whitening effect. Of course I did not go from typical Asian yellowish to Russian complexion after the first shower, boy wouldn't that be outrageous. But I did go from just feeling refreshed after showering to feeling replenished and more radiant after every shower. The texture of the body wash somehow also makes only little amount is required to cleanse the whole body in one shower. I consider this a bonus in respect to cost-saving because the retail price itself is already quite decent. Lux White Impress Body Wash and Whitening Shower Serum give you the glow. The glow your skin radiates from having been exfoliated and the glow your face emanates out of feeling revitalised head to toe. One of the best gifts this month! This sounds like a great product! I bet it would be especially nice in the winter when my skin is so dry and flaky. As quick as the enlistment is finished, the topped off text loans application structure is submitted and approved. The moneylender sends an affirmation mail to the email location of the customers inside of a day. The mail tells about the approval of the obliged sum. After that the borrowers get a mystery PIN code number that must be sent back to the moneylender through the assistance of the message for the further confirmation. Hi, Ka! 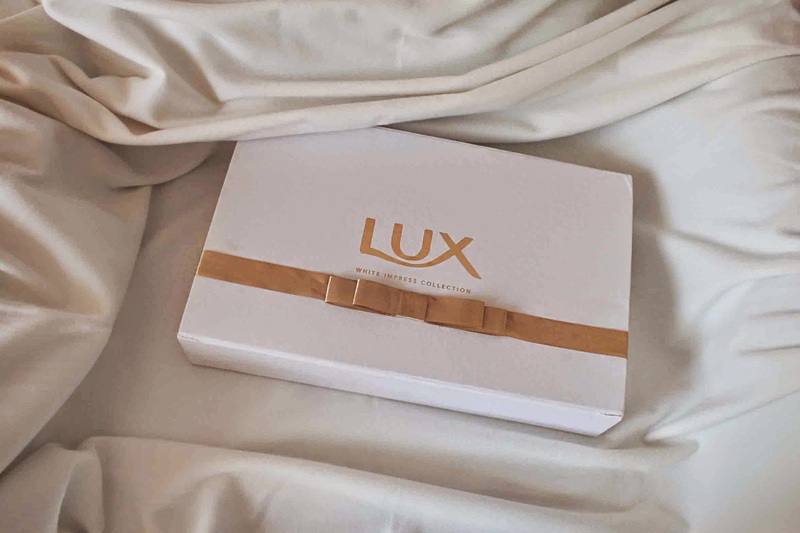 Really happy that you got a very luxurious yet nicely packaged package :D I loved the refresh feels after bath, and really wanna try those things. Thank you for sharing amazing information.